Dylan Tyrer will be bringing you every game from the press box during the 2019 season. 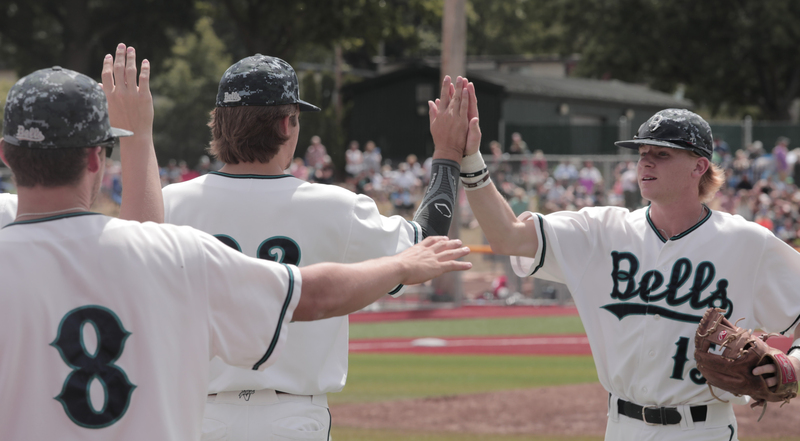 The Bells are exicted to release the 2019 WCL schedule, featuring 29 home games this upcoming summer. Read about another successful season for four former Bells playing minor league baseball. Catch up with some of our former Bells as they continue to play the sport they love at the next level. Two pairs of prospects from the Oakland A's and Seattle Mariners organizations are continuing to represent the Bells well at the next level. Up next, Matt Bower (2013), David Banuelos (2016), Tyler Palm (2016), and Jon Olsen (2016). See how Hunter Haworth (2015, 2016), Gabe Cramer (2014), Jack Klein (2014), and Jake Paulson (2013) are all making strides at the next level. Heach Coach Bob Miller will return to coach the Bells for the 2019 season along with some other familiar faces. Bells and local baseball organizations to host Futire Series for local talent. 17 Bells earn recognition after a great 2018 season. It was a hard-fought game, but Bellingham’s comeback attempt came up just short in a 7-6 loss in game three of the West Coast Divisional Series, bringing an end to the Bells’ 2018 postseason. Bellingham's season will continue, following Jordan Stoner's 4-3 walk off single. Bellingham will look to even the series tomorrow night from Joe Martin Field. The Bells finished their regular season on a winning note, splitting the season and the four-game series with a 4-2 victory. After falling in game one, Bellingham bounced back in a big way for game two. Bellingham’s nine game win-streak was snapped on Friday night in an uncharacteristic outing from the best pitching staff in the West Coast League. 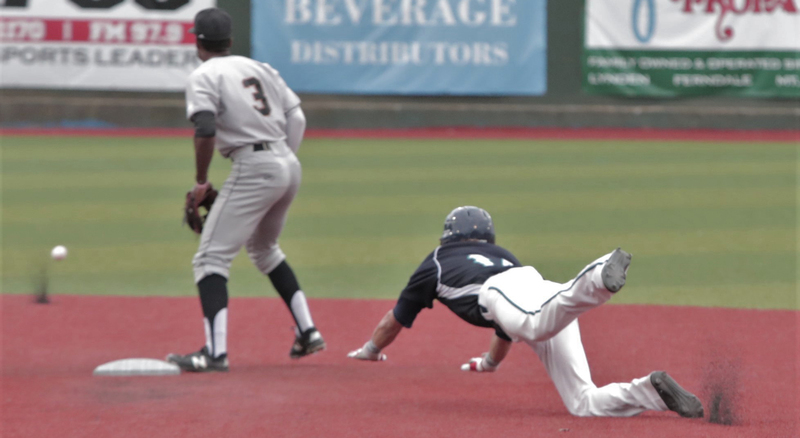 Shortage of baserunners was not an issue for Bellingham on Thursday night in the team’s 11-1 victory over the Cowlitz Black Bears. 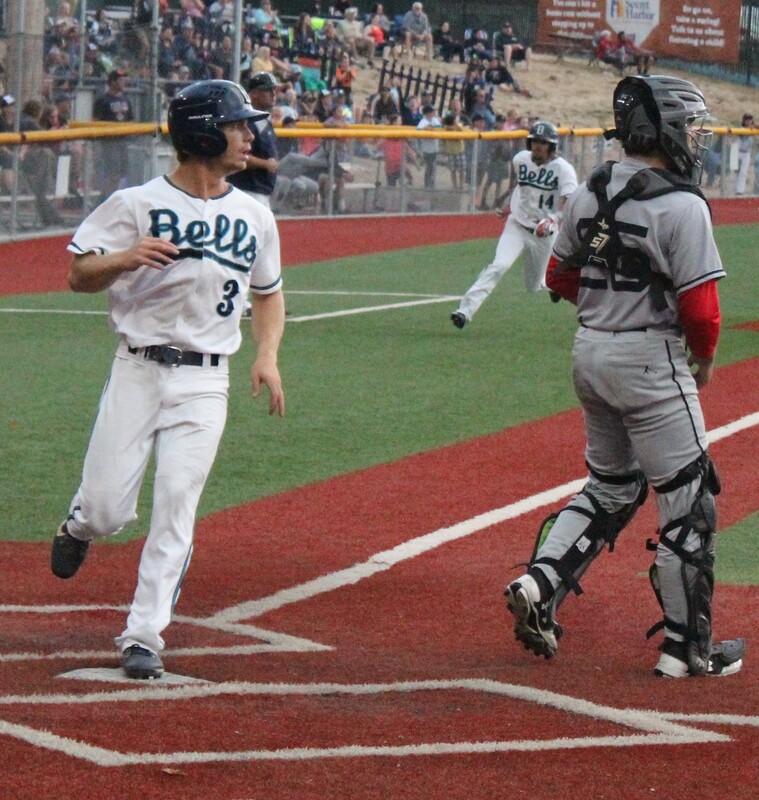 Connor Mack plays hero as Bells take the Cowlitz series 3-2 in walk-off fashion. Zach Needham walks off 4-2 with a two-run homerun in the bottom of the ninth inning. The Bellingham Bells could not fend off a late rally from the Portland Pickles as they walked it off for the second time in the series by a final of 6-5. 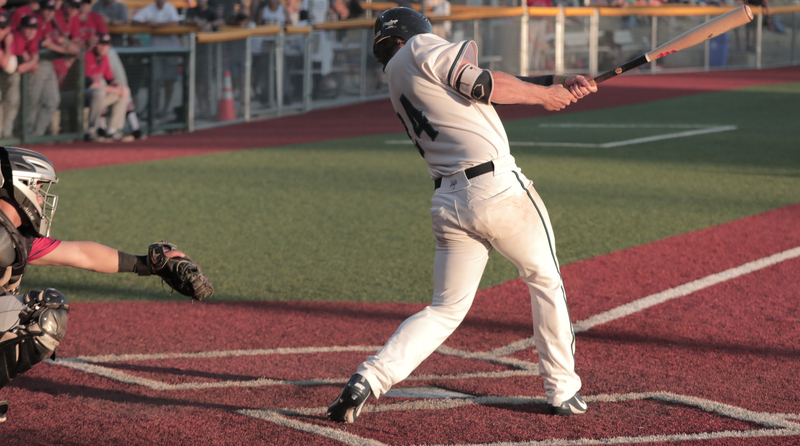 The Portland Pickles were able to hold off the Bellingham Bells in the second game of the series to win their fifth straight game by a final of 6-4. The Bellingham Bells le for most of the game but a late rally from the Portland Pickles (31-15) tied the game and sent it to extras where Portland ultimately walked it off in the bottom of the tenth inning to win 3-2. Bellingham took home six straight wins in six days at Joe Martin Field, following Thursday night’s 5-4 victory. Bellingham is a win away from sweeping their current homestand after taking down Port Angeles in a 9-2 rout on Wednesday night. You can’t have a better 24 hours than Bellingham’s Matt McLain has had. 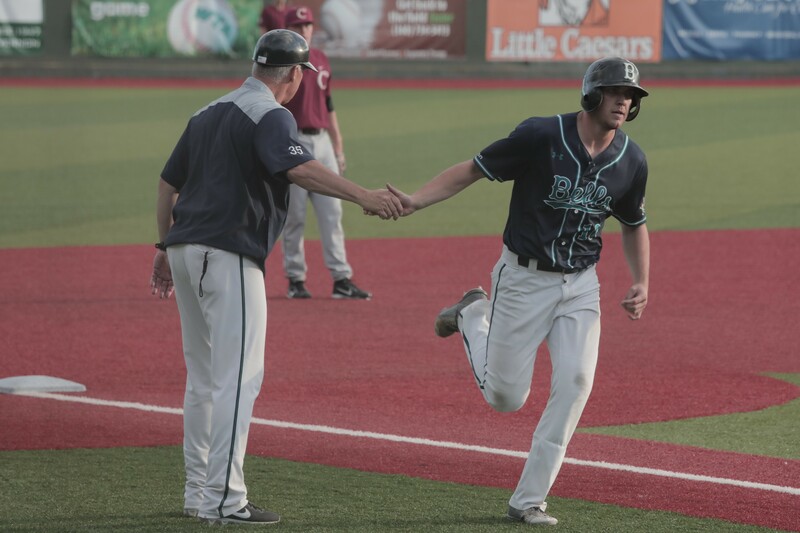 On Monday night, one of the newest Bells torched a walk-off grand slam over the left field wall, bringing an end to a three-game sweep over the Bend Elks. 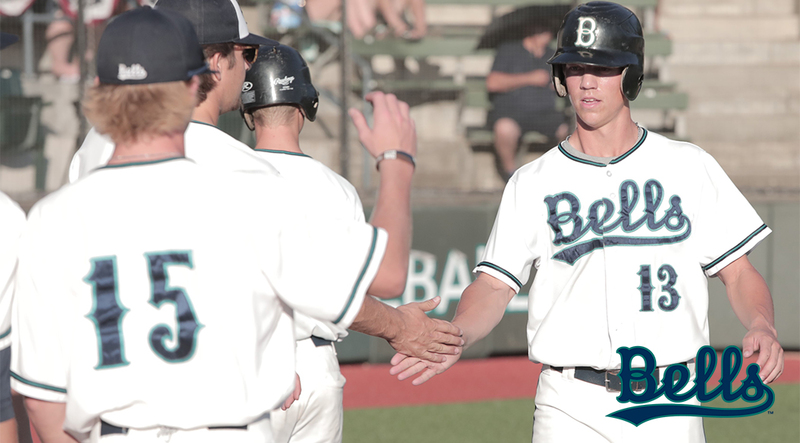 On Tuesday night, McLain once again collected four RBI with one swing of the bat, helping Bellingham to a 6-1 victory. Going into the bottom of the sixth inning, the two teams were tied 1-1, both runs of the game scored in the first inning. The bottom of the sixth inning proved to be a prosperous one for the Bells. A single, a hit-by-pitch, and a walk brought Connor Mack to the dish. With the bases loaded, Mack hit one off the end of the bat, but Port Angeles catcher Matthew Boissoneault couldn’t quite squeeze the ball tight enough at the play at the plate, scoring Jordan Stoner and giving Bellingham a 2-1 lead. Then McLain dug in and sent a 3-2 pitch to dead center field to blow the ballgame wide open 6-1. The Lefties jumped on the scoreboard early after a two-out single from Port Angeles’ DH Dalton Harum. Though the earned run was charged to Wesley Moore, the pitching mound may have been responsible for some of the issues in the first. Following the RBI-single to right, Moore issued a two-out walk, which warranted a mound visit from pitching coach Jim Clem. Clem made a call to the field crew to tend to a wet mound. After an 18-minute delay, the Bells were back in action. Bellingham quickly jumped right back into the ballgame with one of their two-out rallies. Ernie Yake singled to center field and put himself in scoring position after stealing second base. Matt James added to his team-leading RBI total with a single through the left side of the infield. Following the difficult mound problems in the first inning, Moore really settled down in his no-decision. The Bells starting pitcher ended his day with four hits, two walks, and seven strikeouts in four innings of work. Tempers flared in the Bells’ half of the fifth inning on a snap-throw to first base. Though only words were exchanged on the benches clearing huddle around first base, Port Angeles manager Darren Westergard was pointed to an early exit. The Bells rode the momentum of the bench-clearing scuffle into the bottom of the sixth inning, where they would explode. 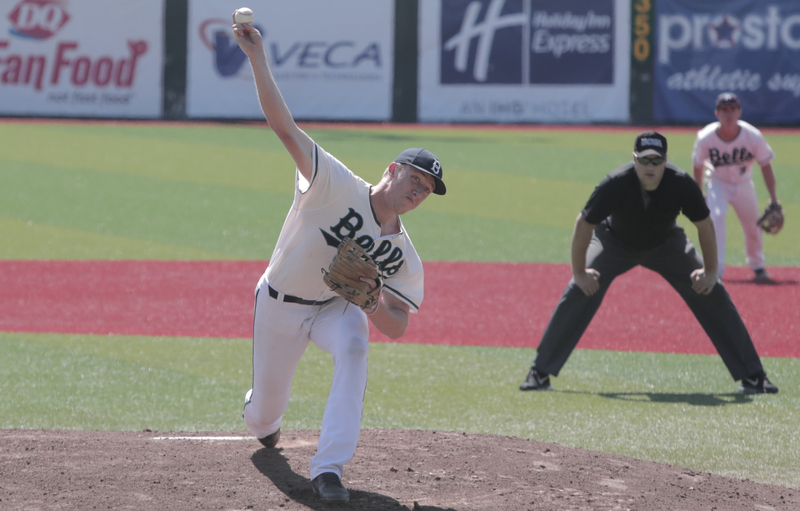 Not to be overlooked, Bellingham’s pitching staff was phenomenal. After fixing the pitching mound in the first inning, the Bells pitching staff quietly shutdown the Lefties in 8.1 innings of three-hit shutout baseball. The Bells will look to take the series on Wednesday, with game two scheduled for 6:35 pm. It’s every kid’s dream. On a 1-0 count, Matt McLain turned on a pitch and sent the Bells home with a walk-off grand slam in a 7-4 victory. Bellingham Bells Playoff Tickets are NOW ON SALE! Mark your calendars for August 11th! We will be hosting game #2 of the WCL North Divisional Playoffs here at Joe Martin Field! 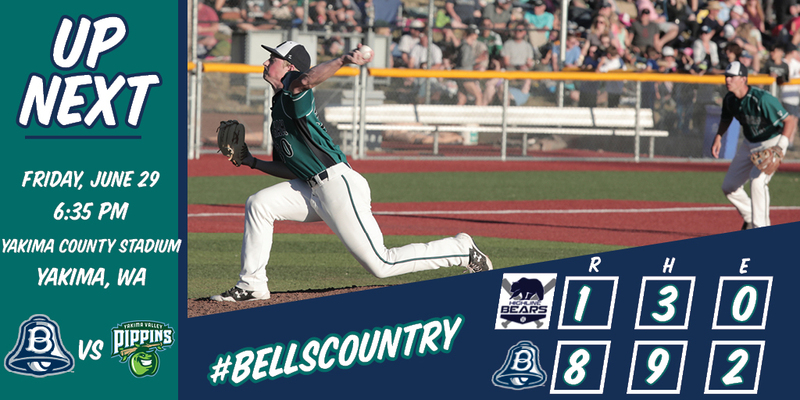 With another gem from a Bells starting pitcher and an offensive showcase, Bellingham takes the current home series and the season series away from Bend in a 7-2 victory. 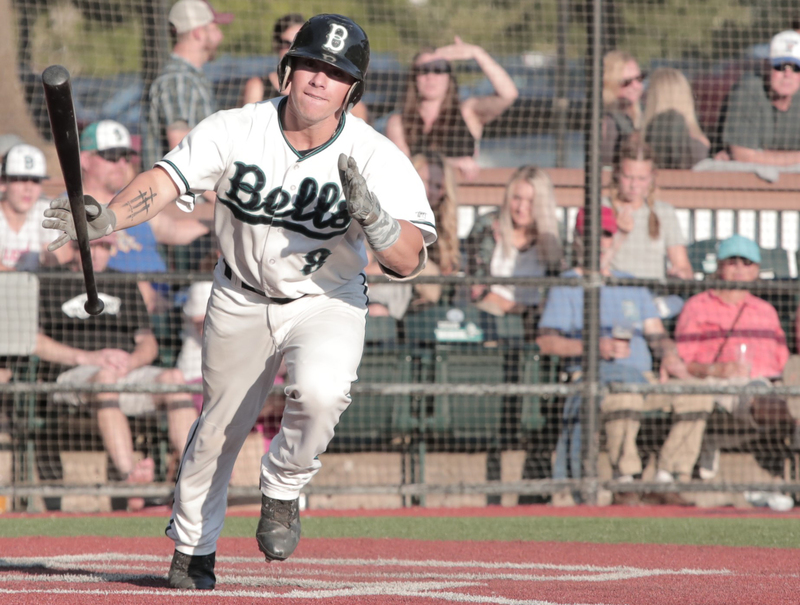 In an 8-0 victory over the visiting Bend Elks, the Bells received just the start they were searching for from the right-handed pitcher out of Cal State Northridge. 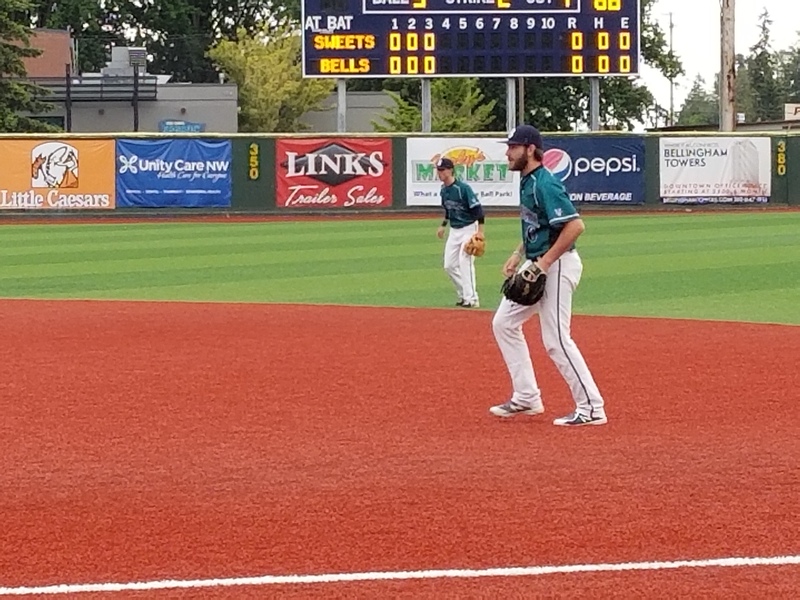 The Bellingham Bells struggled to get the offense going in a 5-0 shutout loss to the Walla Walla Sweets in the final game of the series. The Bellingham Bells returned to their dominant pitching form in their balanced 4-2 win over the Walla Walla Sweets on Thursday. The Bellingham Bells dropped the first game after the All-Star Break to the Walla Walla Sweets by a final score of 5-4. Bellingham was just one big play away from taking home a sweep with late-game heroics. 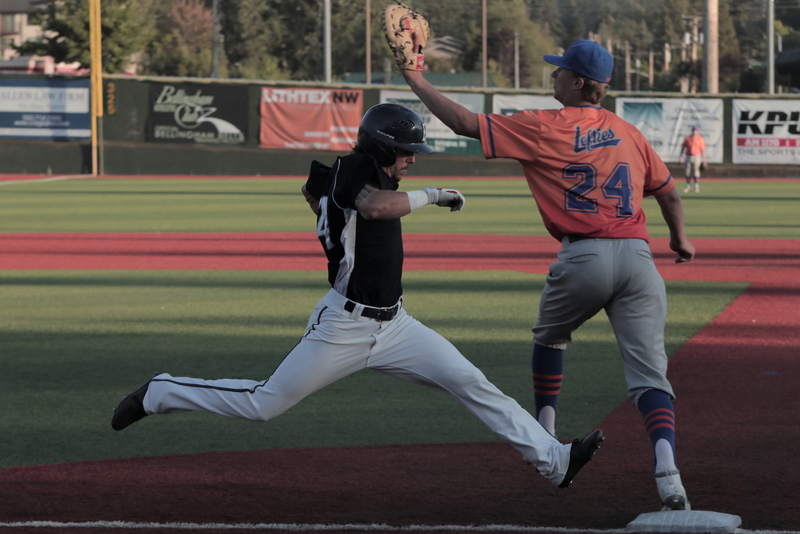 Chris Micheles and Bellingham’s pitching staff outlasted Wenatchee starter Curtis Bafus and the AppleSox pitching staff in a 2-0 victory to take home the series and season victory. 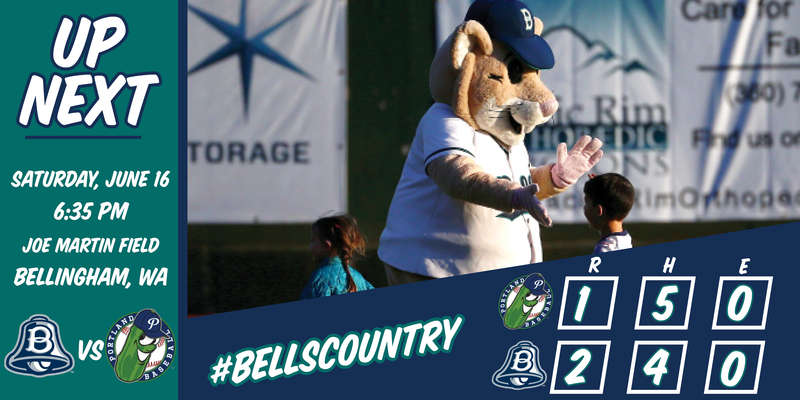 The first inning set the tone as the Bells jumped all over Wenatchee in a 12-1 victory in the opening game of Bellingham’s three game home stand. The Bellingham Bells had their bats working in Wenatchee on Thursday night as they scored 10 runs on 13 hits to defeat the Applesox 10-4 and take game three of the series. The Bellingham Bells had another dominating pitching performance and Matt James homered to send the Bells back into the win column with a 6-2 win over the Wenatchee Applesox. Matt McLain, the No. 25 pick of the 2018 MLB Draft, joins the Bells on the road against the Wenatchee Applesox. The Bellingham Bells gave up a three-run homer in the bottom of the first inning to Jacob Prater to give the Applesox the 3-1 lead and they never looked back as the Bells fall 6-2 in the series opener. Armbruester, Davis, James, and Yake will represent the Bells in Port Angeles at this seasons WCL All-Star Game! After a rough start, the Bells couldn’t bounce back in a 5-0 loss to the North Sound Emeralds on Saturday night's non-league contest. For the third time in Bellingham’s homestand, the Bells needed more than nine innings to crown a victor. Jordan Stoner seized his opportunity and stole home on a wild pitch with one out in the bottom of the 12th, to win the game 3-2. It took the bats a while to warm up on a toasty summer night in Bellingham, Wash.
Once the Corvallis lumber got going though, the Bells couldn’t keep pace in a 5-1 loss on Thursday night. Victoria knows how to run the bases. The league leader in stolen bases caused multiple problems for Bellingham in a 3-2 loss on Independence Day. 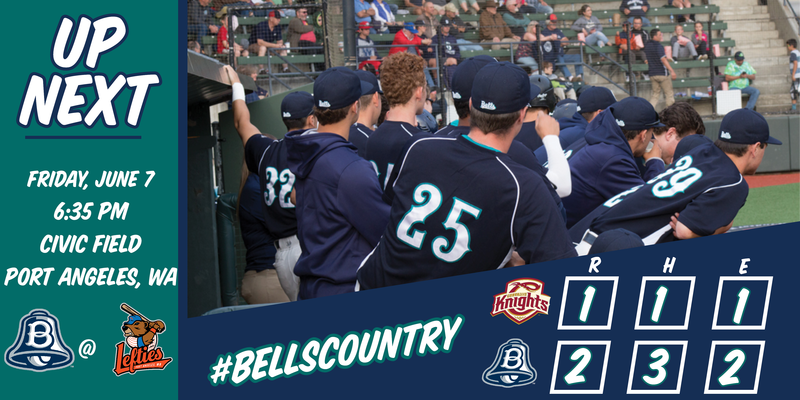 For the second straight night, the Bells took a pitcher’s duel late into the Bellingham night. A hard-fought contest eventually led to a 4-2 victory after a three-run homerun in the top of the tenth inning. To welcome the visiting Victoria HarbourCats, fans at Joe Martin Field stood for both the United States and Canadian National Anthem. Little did Bellingham faithful know, they were in store for a pitcher’s duel between two tall lefty Canadian natives. 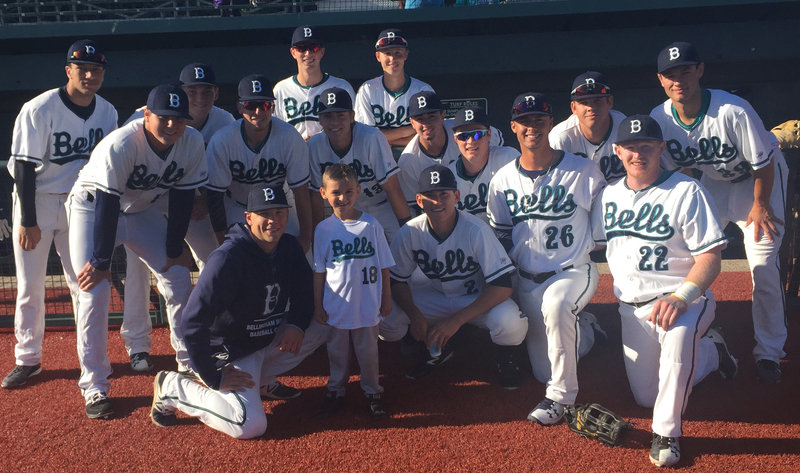 The Bellingham Bells continued to dominate as they finished off their third sweep of the year with an 8-1 win over Yakima Valley on Sunday night. The Bellingham Bells scored three unanswered runs from the seventh inning on to clinch the first half West Coast League North title and secure their spot in the post season. The Bellingham Bells hit the ground running in their return to West Coast League play as they shut out the Yakima Valley Pippins 4-0 to improve to 16-6 in the league. On Monday, the West Coast League commissioner, Rob Neyer, announced Bellingham Bells pitcher Justin Armbruester was presented with the Moss Adams Pitcher of the Week accolade. 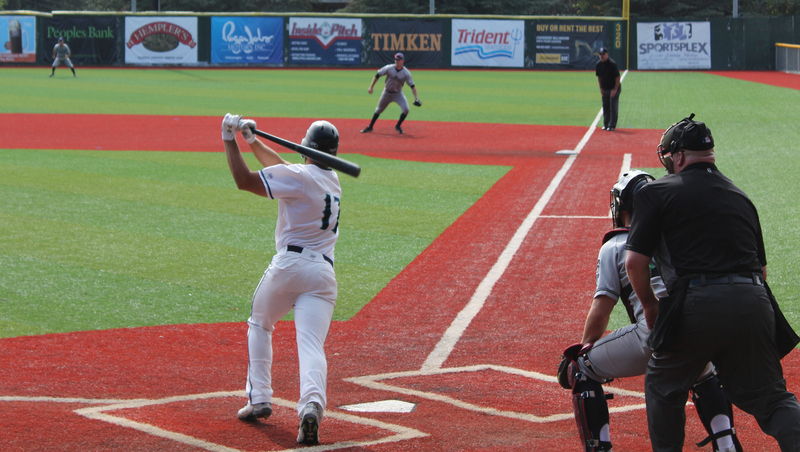 On a quick pitstop from the road, Bellingham dominated the two non-conference games they played in front of the home crowd at Joe Martin Field. 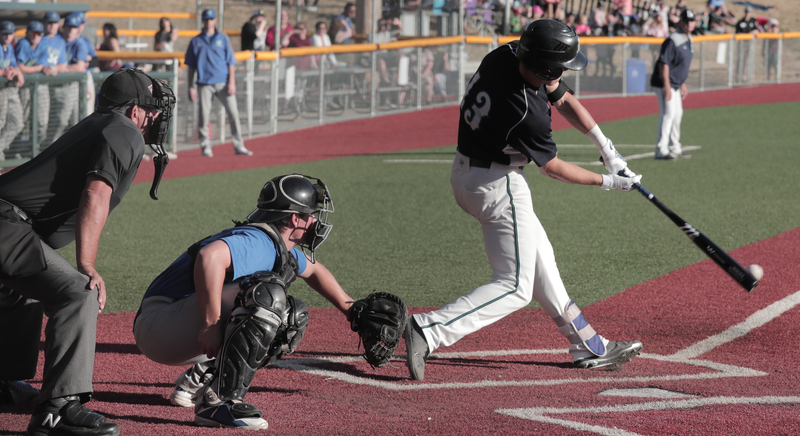 The line outside was still working its way into a sold-out Joe Martin Field when Bellingham was making some noise in the bottom of the first inning. The Bellingham Bells got a solo homerun from Matt James in the top of the eighth inning to help beat the Victoria Harbourcats, 4-3 and win the series. The Bellingham Bells tallied 10 runs on 15 hits to run away with game 2 in Victoria and improve to 14-6 on the year. The Bellingham Bells had their eight game winning streak snapped on Friday with a 6-5 loss to the Victoria Harbourcats. The Bellingham Bells used a strong pitching performance from Nick Nastrini and Co. to shutout the Cowlitz Black Bears 5-0 for their eighth straight win. The Bellingham Bells (12-5) upped their winning streak to seven games with a 7-4 win over the Cowlitz Black Bears (7-10). The Bellingham Bells used a strong bullpen effort and timely hitting to win their sixth game in a row defeating Cowlitz 6-4. Bells fans meandered to Joe Martin Field on Sunday afternoon, many wearing “World’s Best Dad” shirts, and smiles all around. 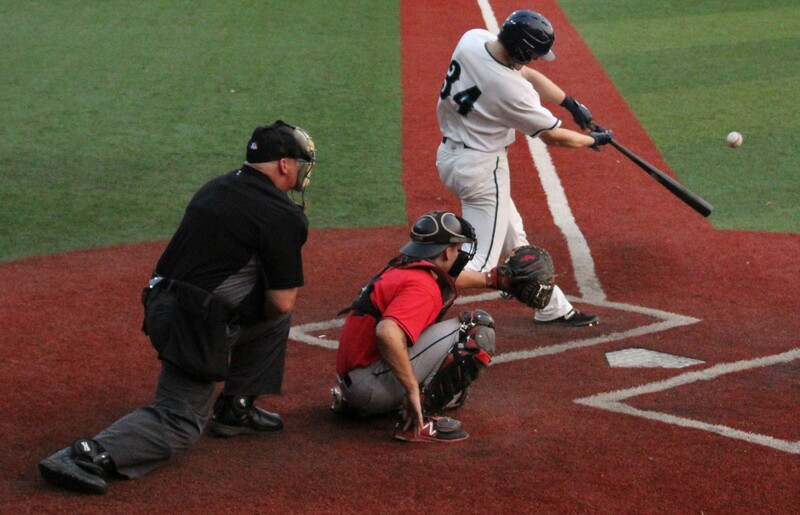 On Friday night, it was Bellingham native Ernie Yake who got the go-ahead hit to seal a late comeback for the Bells. 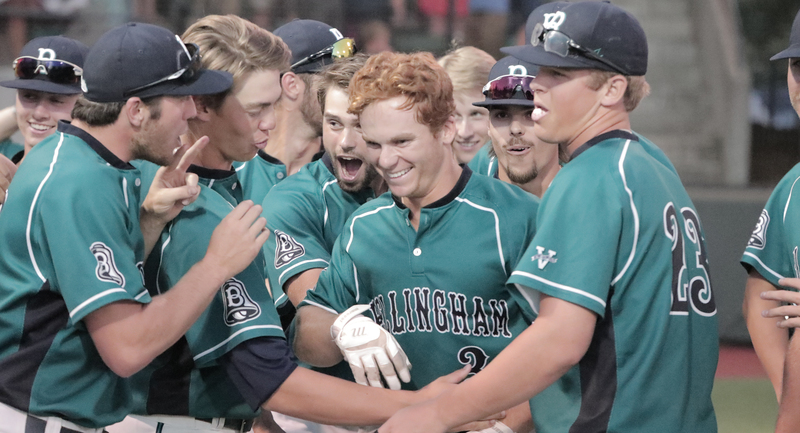 On Saturday night, it was Bellingham local Matt James’ turn to play hero who gave the bells a 3-2 victory on a walk off single which slammed off the right field wall. 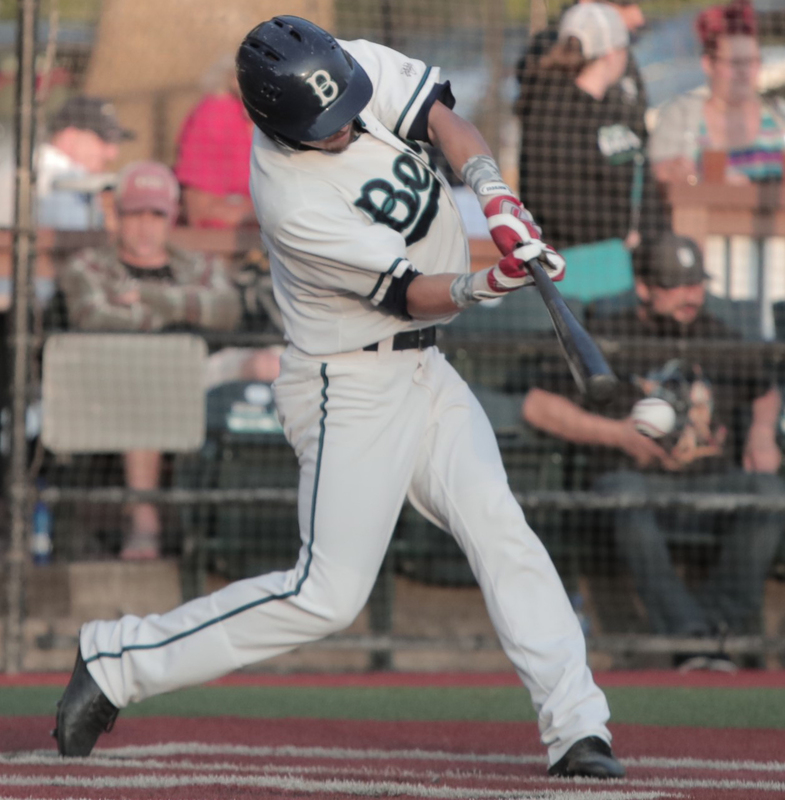 Ernie Yake played hometown hero on Friday night for the Bells with a bases loaded single through the left side in a 2-1 victory over the Portland Pickles. The Bellingham Bells used an eight run fourth inning to down the Bend Elks 12-7 and take game three to win the series. 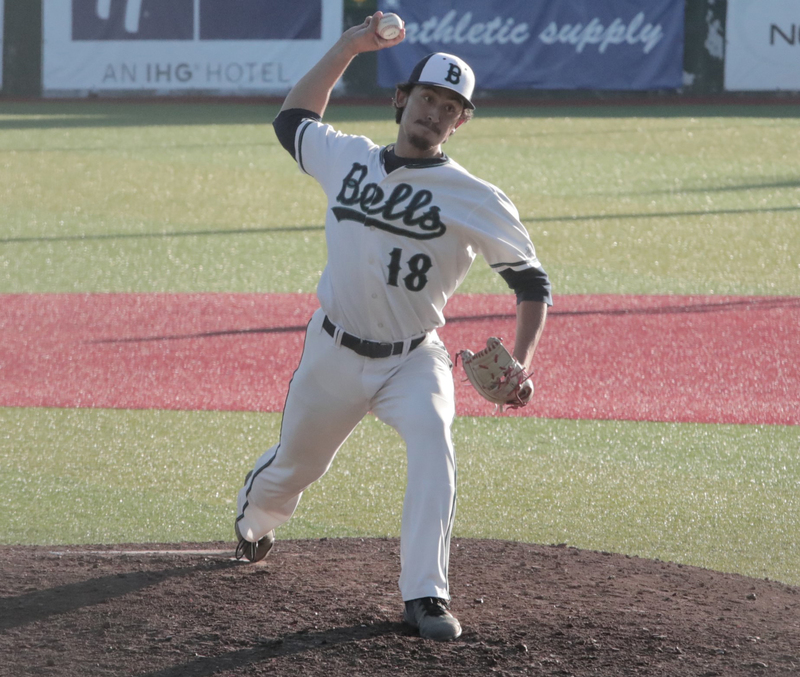 The Bellingham Bells used another dominanting pitching performance to down the Bend Elks 3-1 in game two of the series. Nine total Bellingham Bells will be making the next step and turn their sights for the MLB! For the fourth time in ten games the Bellingham Bells played their way in extra innings against the Bend Elks before falling 7-6 in 11 innings. The Bellingham Bells exploded for seven runs in the ninth inning to take game three from the Port Angeles Lefties, 10-6. The Bellingham Bells dropped the first two games of their three game series to Port Angeles to drop to 4-4 on the year. For the second straight night, Bellingham needed extra innings to claim a winner. Unlike the 5-1 loss on Wednesday that took 13 innings to finish, the Bells got a timely hit to walk off 2-1 against the Corvallis Knights. 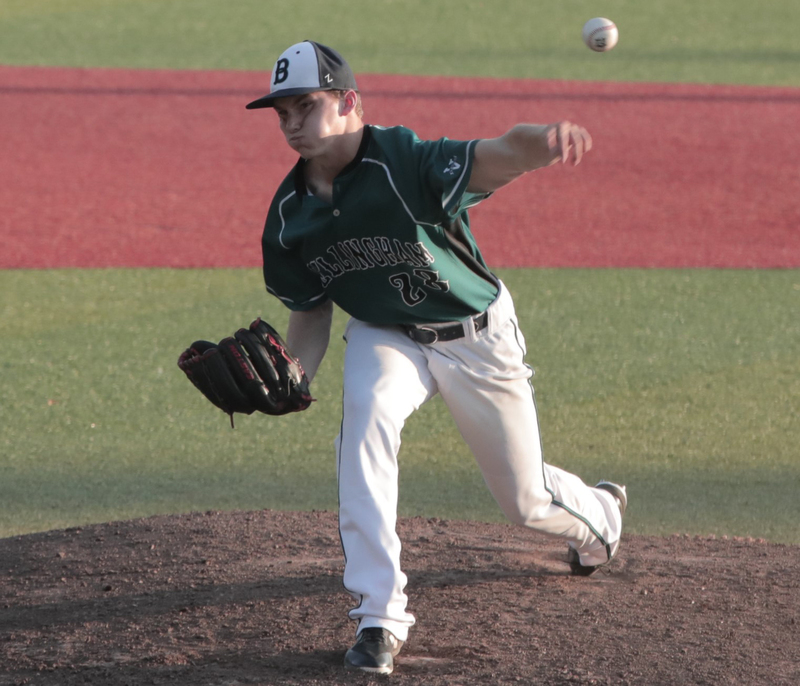 Over the past four games, dominant pitching has been the reoccurring theme for Bellingham baseball. 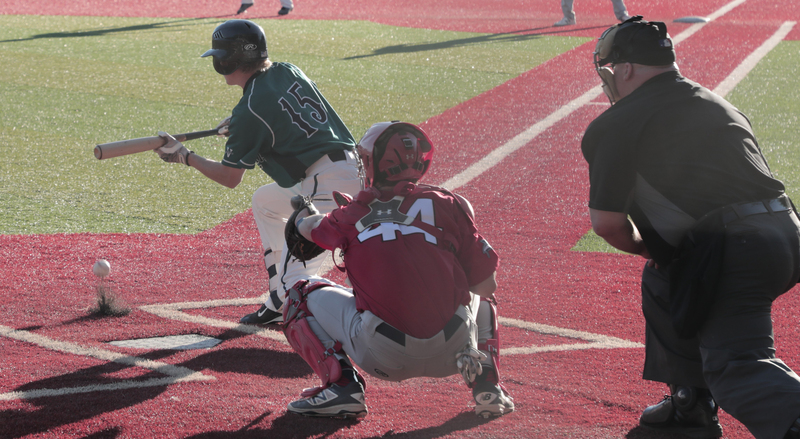 However, that was overshadowed with the 5-1 13-inning finish at Joe Martin Field on Wednesday night. In search of a sweep, the Bells dropped the series-finale as they were just one big play short in multiple situations. If you came out to Joe Martin Field on Tuesday night looking for a pitcher’s duel, you got your money’s worth on the first $2 Tuesday of the season. 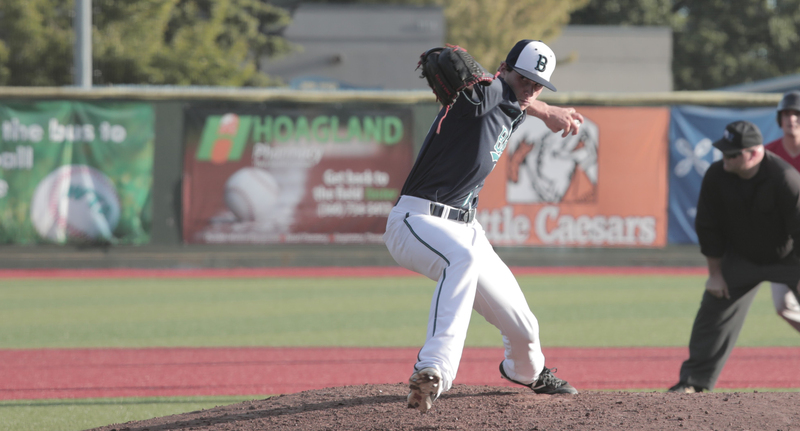 Through four innings, the bustling crowd in Bellingham watched both starting pitchers glide through opposing lineups, which then featured a dominant bullpen effort in the 1-0 victory over Walla Walla (1-3). The Bells wasted little time jumping onto its brand-new scoreboard at Joe Martin Field on Monday night in a 5 – 0 win its 2018 home opener. Bells to Partner with Make-A-Wish for Opening Day! Make-A-Wish recepiant JT will help the Bells kick off the the 2018 season! The Bellingham Bells put on a hit parade tonight in Kelowna as they slashed 18 hits to push eight runs across and lock down their first win of the season as they beat the Falcons 8-2. Take an in-depth look at Miller's thoughts about the 2018 campaign. Never miss any action at Joe Martin Field! Bells to stream all home games in 2018 through partnership with GoLiveVideo. Kelowna trailed three seperate times but they were able to force extra innings and eventually topped the Bellingham Bells 5-4 in game one of the season. The ten-day player class consists of six pitchers, a cater, three infielders and an outfielder. Rob Neyer will join the West Coast League leadership structure moving into the upcoming season. Nick Hull is the latest addition to the Bells 2018 roster. Two more pitchers from the state of Mississippi will take the field for the Bells in 2018. Bellingham Bells tickets and the 2018 promotional calendar is available now ahead of the upcoming season! A special thank you to IBEW 191 and NECA, along with VECA Electric and the City of Bellingham for their assistance on this project. Peter Kemble and Cody Pasic will look to take the field this summer for the Bellingham Bells. 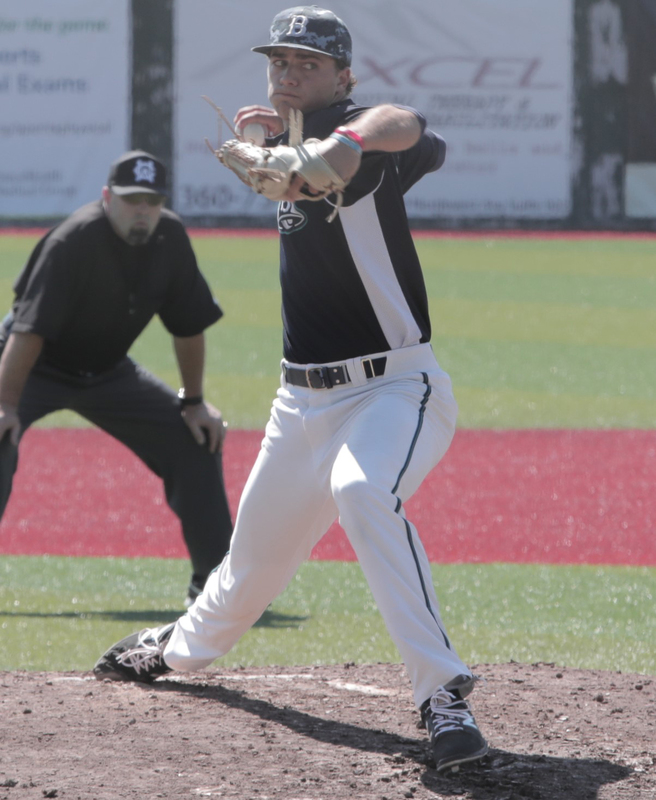 Catch up on the reigning WCL Player of the Year, Chase Illig! Our new assistant coach, Darrien Moran, is very excited to join our staff ahead of the 2018 season. Will McGillis (Southern Mississippi) and Cole Joy (Long Beach State) are the latest additions to the Bells roster as we draw closer to the 2018 season. Yake will be back for the upcoming 2018 season and he is proving to be one of the top players for his Gonzaga Bulldogs. Coach Clem is ready for the continued success of the Bells organization ahead of the 2018 season. Wesley Moore (CSU - Northridge) and Logan Hatley (Oregon State) will be looking to make an impact this summer for the Bells. Shenton may be playing baseball on the opposite side of the country, but that has not slowed him down from finding success on the field. Get a closer look into what our returning assistant coach, Jake Whisler, is thinking about our upcoming 2018 season. Two right handers will take the mound for Belingham this summer. After making his impact felt during the 2017 WCL season, Powell continues to bring the heat for UCLA. Get a closer look into what our new head coach, Bob Miller, is thinking about our upcoming 2018 season. Harris is the lastest addition to the 2018 roster ahead of the upcoming summer. Pettway continues to shine for the UCLA Bruins after his great season with the 2017 Bellingham Bells. The Bellingham Bells are currently accepting applications for Host Families ahead of the 2018 season. The University of Washington will be well represented umong the 2018 Bellingham Bells roster. The Bells are exicted to add three high school graduates to the upcoming season's roster. A pair of Stanford pitchers are ready to take the field for the Bells in 2018. A pair of pitchers and an outfielder from Gonzaga will join former Bell, Ernie Yake, in Bellingham this summer. Dusty Stroup and Blake Billinger will take the field for the Bells this sesaon. The Bells are excited to annouce the return of another 2017 Bell ahead of the 2018 season. Connor Mack and Carson Olson are the latest pair to join the Bells for the upcoming season. Trevor DeLaite and Tanner West will be back in Bellingham for the upcoming 2018 season.